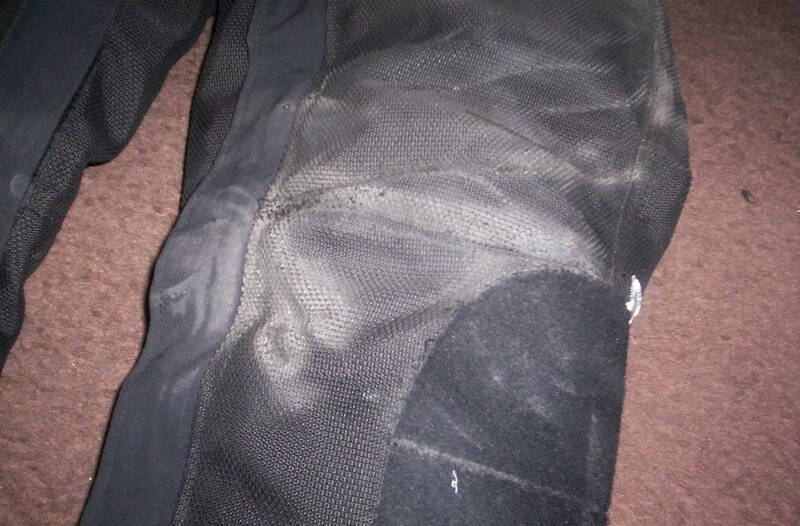 Discussion in 'Face Plant' started by lvjt, May 3, 2008.
motoport air mesh kevlar pants. injuries: I mustve hit the cement barrier with my shoulder on the way down. had kind of a gouge - kind of hard to see in the pics. even in the 118 degrees we get here. Sorry to hear about your accident but glad to hear that you are going to be OK . I also bought the Motoport full mesh suit. I joke with my friends that I feel sorry for the pavement that I hit with that suit. It's expensive, but it's super flexible (hot days and cold), and I find it a great investment. Wayne does go out of his way on the customer service side. Get back on that bad motor scooter and ride. I love my Motoport/Cycleport mesh pants and jacket. I haven't offed in 'em yet, though! I did have one of the zippers on the pants lose a tooth - Wayne put a new zipper in free. glad your ok. YES the motoport gear is for sure top self! BTW, what kind of bike were you on? What maybe could you have done to avoid the accident, brighter/ yellow lights, reflective gear ( i.e. hi-vis vest) , ability to grab a hand full of powerful ABS brakes....or its just a case of damn the luck......? ! I'm sure ABS would've helped. I was riding my Triumph Speed 4 (powerful sport bike brakes). I've had panic brake moments before but never locked it up on this bike. It happened at a pretty messy interchange we call the "spaghetti bowl" (a lot of lane changing and signs and a bit of a bottle-neck) and I don't know if it matters what I look like if the guy just wasn't looking. Like they saying goes "Sometimes you git the bar and sometimes the bar gits you"
ABS likely woulda saved the day. good to see the motoport stuff holds up. 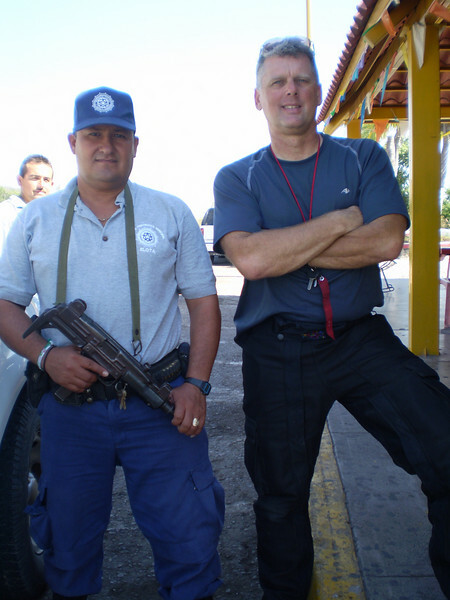 Me on the right with Motorport Air Mesh pants. Extremely comfortable, cool, and light. 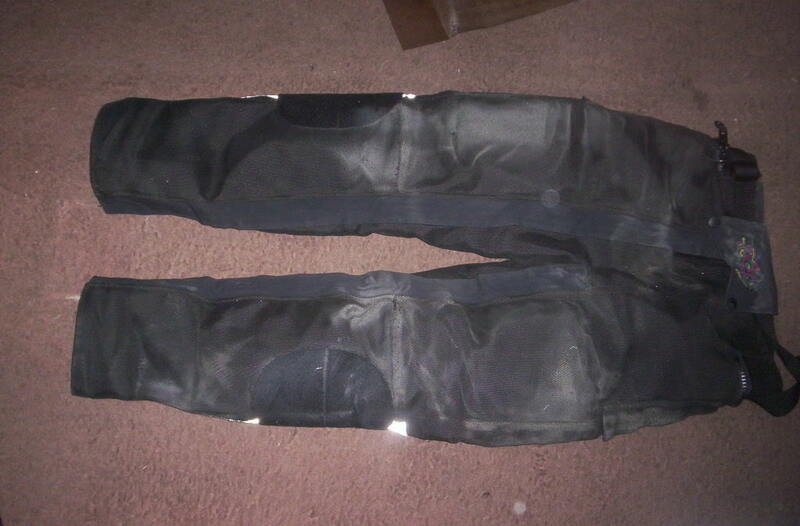 Hard to imagine there are any more protective pants out on the market. Wayne at Motoport can customize with extra pads/colors to suit. The jacket is similar. Ivjt,congrats on not getting seiously injured!!!!!!!!!!!!! Flyred Who is John Galt? doggone... sure it ...can you say wishful thinking... I used ( 18 yrs ago) to own an Uzi! eventhough semi..was tons of fun!! Thanks for the info. I have Olympia overpants I wear to work every day, but the CE armor in them is small and will just slide off my knee in the event of an accident. 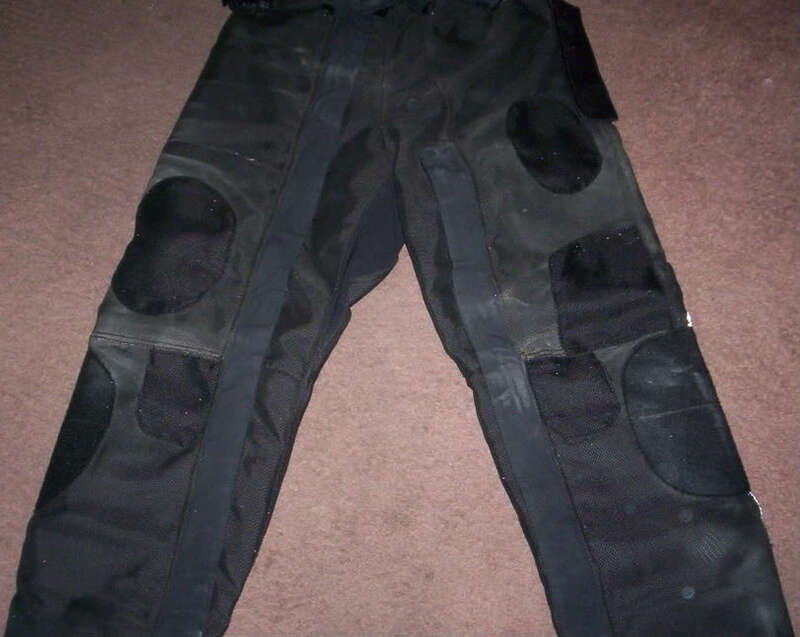 I'm looking for something with armor similiar to what is in my Rallye 2 Pro pants. 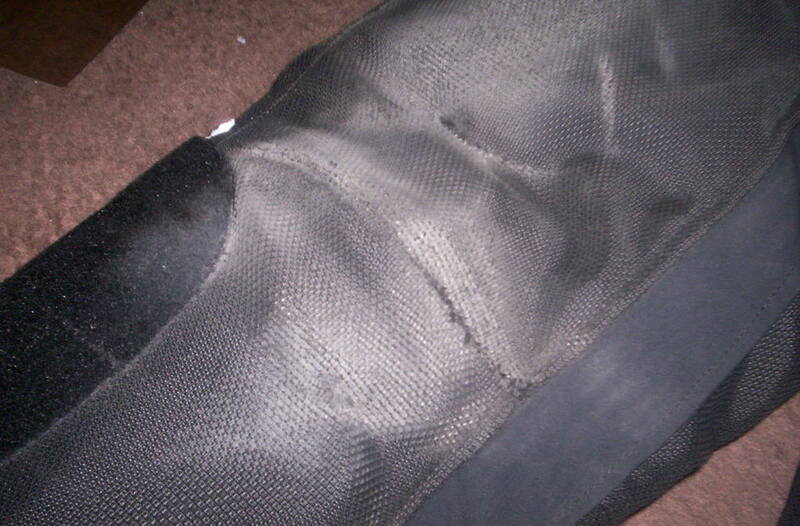 It is about 12" long or so and wraps around both sides of your kneed and down the shin. It'll wrinkle my dress pants, but I'd rather have wrinkles than unprotected legs. Looks like ABS would have saved the day here. I for one, will never again own a street bike without it. Lock up that front tire and you have less than 1 second to back off before you go down. I speak from experience. Glad you faired so well. OuttaMyWay I shook his hand!!!!!1! ...the CE armor in them is small and will just slide off my knee in the event of an accident. I took out the foam pads from my overpants, and use these instead. Do those shin protectors interfere with your boots at all? I'm considering seperate knee pads since I have a hard time finding pants with the armor in the right place...weird legs I guess. No, it all goes together fine. Boots first, then shinguards, then pants. Works best with the pantleg zippers undone, then zipped down last. I tried them out first in the store. There are other brands, and you might want to test fit them for your funky legs.